2016 Frazer Trade Show Schedule - Frazer, Ltd. If there’s one thing we love more than building the most powerful EMS vehicles in the industry. It’s the chance to show them off. And we like to do so every chance we get. Going out on the road is very exciting for us here at Frazer. It’s the best opportunity for you, our fans and customers to see what the Frazer culture is all about. If you are interested in getting to know us, seeing our diverse product line, or just hanging out with us, then by all means come out to see us. 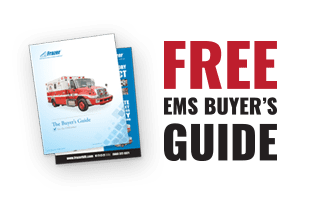 You can count on us being at all the major EMS trade shows this year, plus a few other shows you might not expect us to be at. One thing is for sure, we would love to see you there.